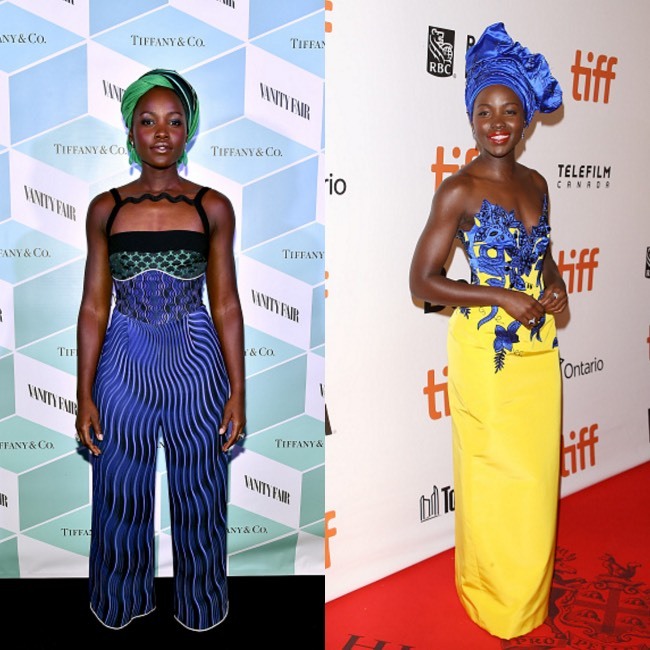 Lupita Nyong’o hit the red carpet at the Toronto International Film Festival in a series of bold hued dresses, including a yellow and blue number by Carolina Herrera, accessorized beautiful headwraps. Nyong’o is currently promoting her upcoming project Queen of Katwe, which premiered at the festival, over the weekend, to rave reviews. Directed by Mira Nair, Queen of Katwe tells the story of Ugandan chess prodigy Phiona Mutesi. The film is based on the book The Queen of Katwe: A Story of Life, Chess, and One Extraordinary Girl’s Dream of Becoming a Grandmaster. 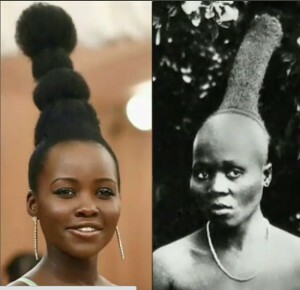 Mutesi was also the subject of a documentary with the same name. Newcomer Madina Nalwanga, who also hit the red carpet at the TIFF, plays Phiona Mutesi, while Nyong’o plays her mother Harriet.